The sun shone on Merthyr Rising as the festival showcased the cultural vibrancy of the town. Running from Friday to Sunday, the festival featured an even more ambitious line-up this year including inspiring thinkers, thought-provoking speakers and debates, held alongside appearances by talented artists, musicians, writers and filmmakers. 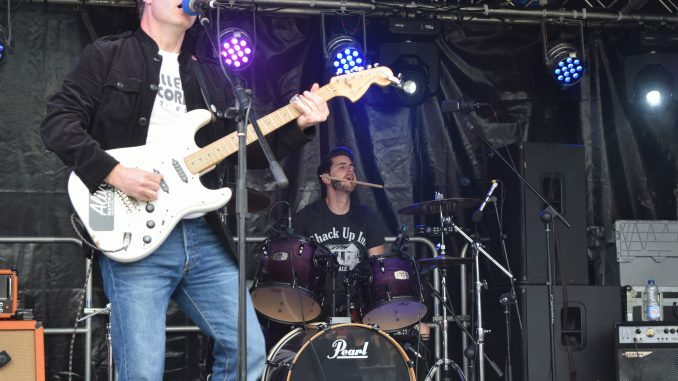 The festival once again had a distinct local flavour, especially around Merthyr’s Penderyn Square, where local bands and headline acts The Farm and The Oasis Experience performed in front of enthusiastic crowds who turned out in their thousands to enjoy the entertainment.